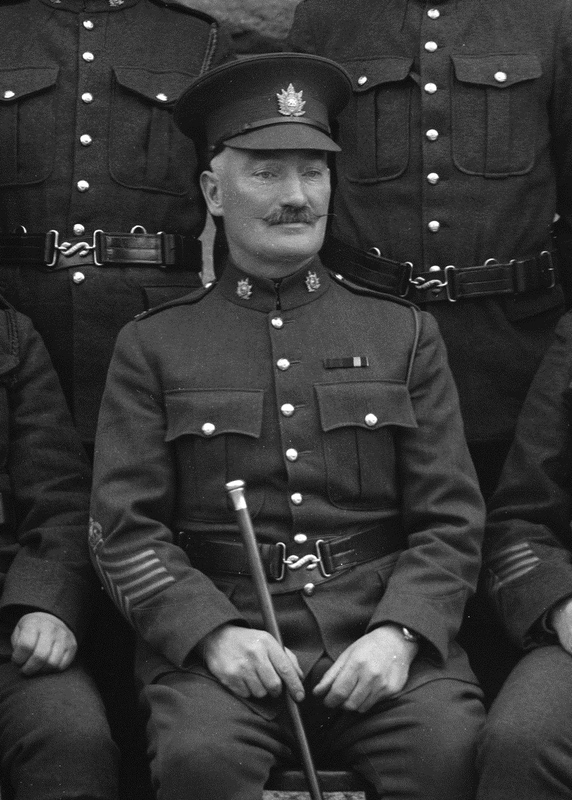 1096004 Regimental Sergeant Major Henry Serjent was born in Bristol, England 9 March, 1871. He immigrated to Canada arriving on 15 March 1907. At the time of his enrollment into the 255th Battalion (QOR) Canadian Expeditionary Force in Toronto on 28 Oct 1916 he was a Safe Maker and had 17 ½ years prior service in the 24th Regt of Foot, 9 years in the 48th Highlanders, and 2 months in the Queen’s Own. He was a Presbyterian, had a wife, Elizabeth, and lived at 156 Hiawatha Rd., Toronto. The 255th Battalion was mobilized 22 Nov 1916 and embarked 2 June, 1917 on S.S. Olympic with a total strength of 13 officers and 284 other ranks. The battalion was disbanded 1 September, 1917 with principal drafts to the 3rd, 75th and 124th Battalions.